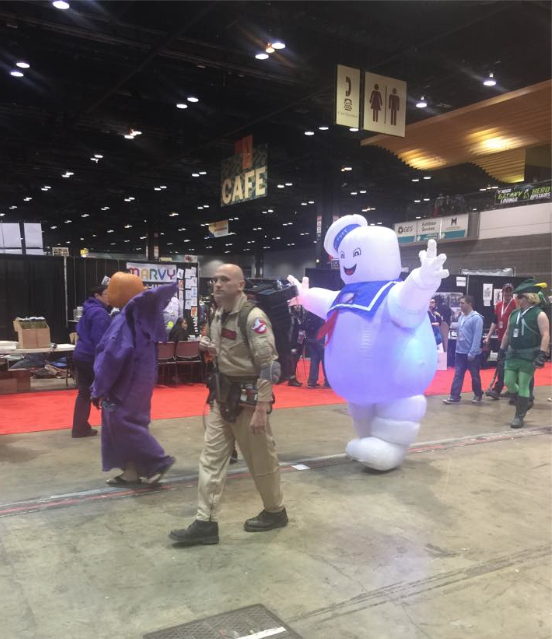 This Ghostbusters Staypuft Marshmallow Man was one of my #cosplay favorites this year at #C2E2 – as was the Lego Boba Fett costume (I don’t have an image of the latter). This one had to burn a lot of calories, being so onerous to lug around! 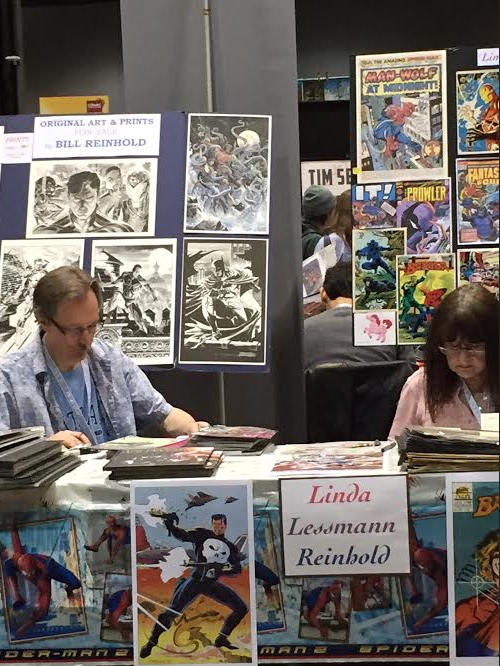 I heard the show was busier this year, based on the fact that Lot A at McCormick Place was full already before 10 a.m. It’s always good news to hear a fairly young show is thriving, especially one so local to us. Dave sold out of his #Marvel Issue #1 #StarWars variant covers the first day, which is always a good sign (have no fear, he brought in more). 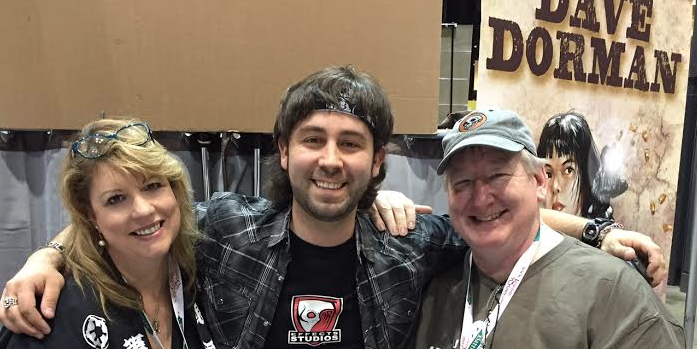 and behind us is Darron Jackson and Steve Howard, two more of my favorite humanoids. 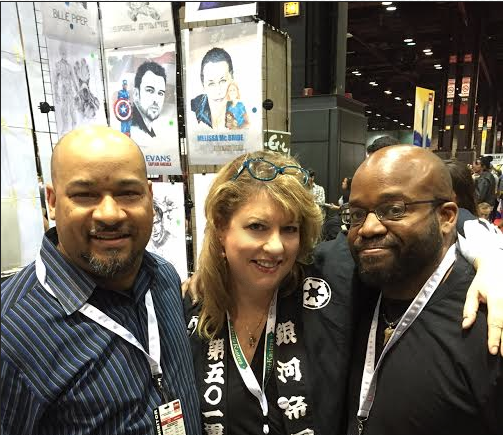 Illustrators Darron Jackson, Steve Howard, and me. I reconnected with Ken Heinemann, my cameraman for my video and TV show production projects; he was handling A/V for all of the panels. He came to visit me during the M. Night Shyamalan/Matt Dillon panel (a new Twilight Zone-style show, I’m told), which just goes to show you how non-plussed he is by all of the geeky fun. He just came off of the Soundstage tour, so this was an easy gig in comparison. I offered to be Kenny’s grip, but my non-union status precludes me from that.